Two 8-inch Windows 8.1 tablets that stand out as attractive choices for the average user are the Dell Venue 8 Pro and the Lenovo Miix 2 8. They don’t have HDMI ports as the Acer W4, Thinkpad 8 and Toshiba WT8 do but they are two of the smartest and lightest. The specifications are so close that you can’t choose based on a simple side-by-side comparison so we’ve put the two side by side in the studio and run some tests for you. The performance and price on these two 8-inch Windows tablets is almost exactly the same but the Dell is a clear winner in terms of WiFi performance. We saw a solid 300Mbps connection over a WiFi-n 2.4Ghz network two walls away form the router. The Dell also has a better speaker and better cameras and can be used with an optional digitizer pen. The Lenovo, on the other hand has a faster disk and includes a GPS on board. The array mic is much clearer but does have some background interference. In theory it does have a fast memory bus but it’s difficult to measure much advantage. In a web performance test using Peacekeeper (and the Modern IE11 browser) the two devices are evenly matched. 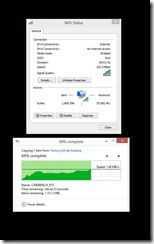 Z3740D has slower memory bus. Not affecting general usage. 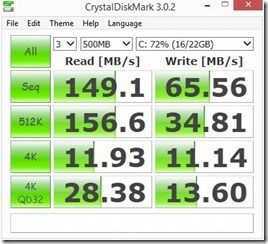 Z3740 slightly faster memory performance than Z3740D of Dell VP8. 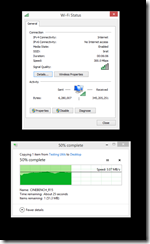 Pen support (not included) Disk performance: Faster disk in Seq. read especially. 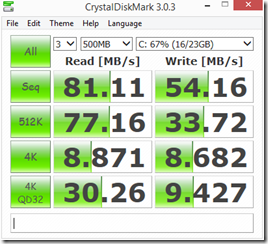 25% fast in 4K write. Bigger battery size (about 5% more) Array mic. 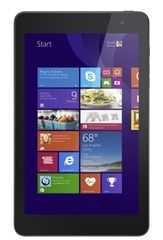 is much clearer than Dell Venue 8 Pro but has some background interference. Slightly deeper black level on-screen. GPS on board. Better rear camera and better front facing cam. (Very) slightly lighter and smaller. 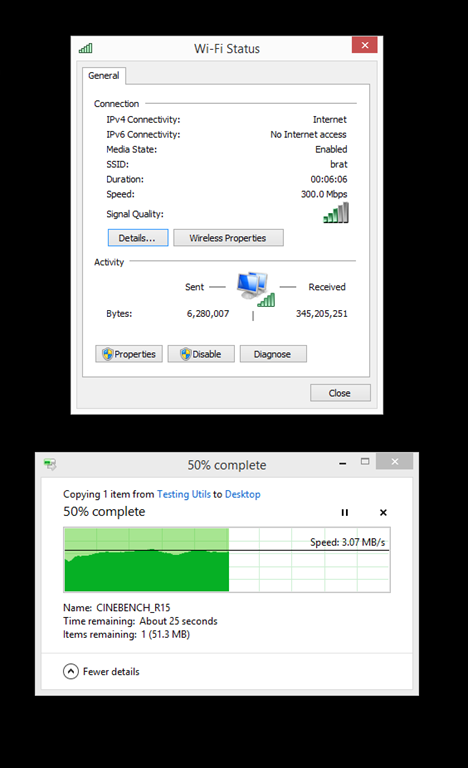 Dell WiFi performance: Solid 300Mbps in test. 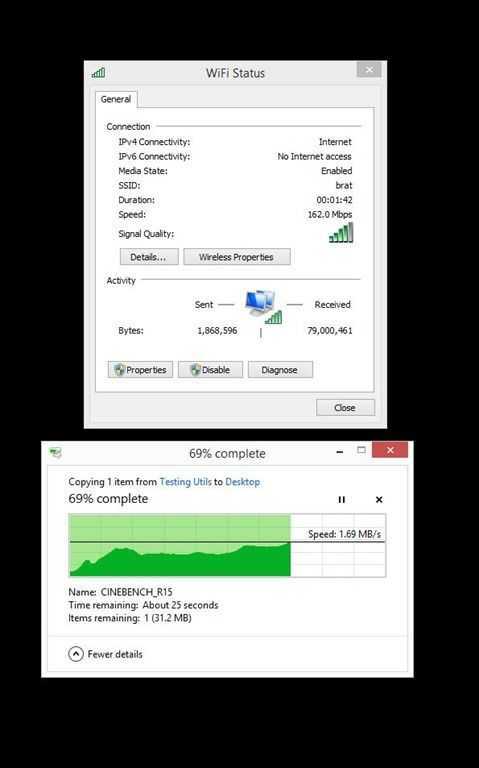 Better transfer speeds. Very slight pink tint to screen. Slightly warm in some situations. not hot. Mono speaker much more powerful with better dynamic-range.